When the clocks go forward, we all have to bravely face the harsh reality that, while our evenings will be longer and sunnier, we have to sacrifice an hour in bed for the pleasure. Now that we have overcome that trauma, it’s time to start basking in the fact that spring has finally sprung. Life just seems easier when this time of year rolls around. Being able to go out shopping without having to carry around a bulky coat. Actually thinking about what top you’re going to wear as it won’t be hidden underneath a jumper all day. We’re living the dream! Here at Brother2Brother this week, we’ve had t-shirts on our mind. The chance has finally returned to us to make bold fashion statements with our torso, and with British summers being, let’s be honest, temperamental, we thought we’d better get prepping early in case our opportunities to showcase our new t-shirt wardrobe are limited. So, just for you, we have compiled our top 5 t-shirts available right now in the Brother2Brother store that are sure to surprise, astound and inspire a hell of a lot of jealousy. Now that the sun is out, what better excuse to clear out last season’s clobber and get yourself a fresh new look ready for summer ‘19? And when you’ve got all your t-shirt choices nailed, be sure to head over to our full menswear collection to kit out the rest of your summer wardrobe. Calling all sailing enthusiasts that like to stand out from the crowd! 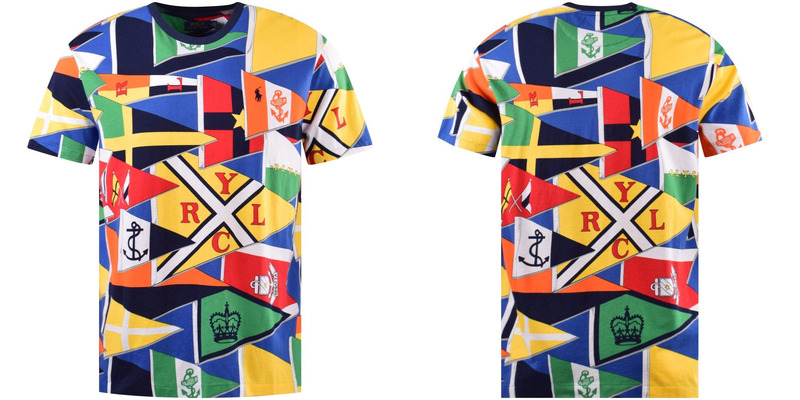 This 100% cotton crew neck t-shirt from Ralph Lauren features an eye-bogglingly colourful design comprised of sailing flags from all around the world, with the large central yellow flag featuring as am emblem for ‘Ralph Lauren Yacht Club.’ The design is completed, as always, with the iconic polo player logo embroidered to he chest. This shirt is brand new for Spring/Summer 2019 and is sure to be a hit, so make sure to grab yours before too many other sailors beat you to it! Have you ever wanted to have the power to shoot an angry flock of birds at people when they annoy you? Just to get them to run away and never mess with you again? Well, sadly we can’t make that happen exactly, however we can sort you out with this sweet t-shirt from MCQ by Alexander McQueen, complete with your own flock of swallows! 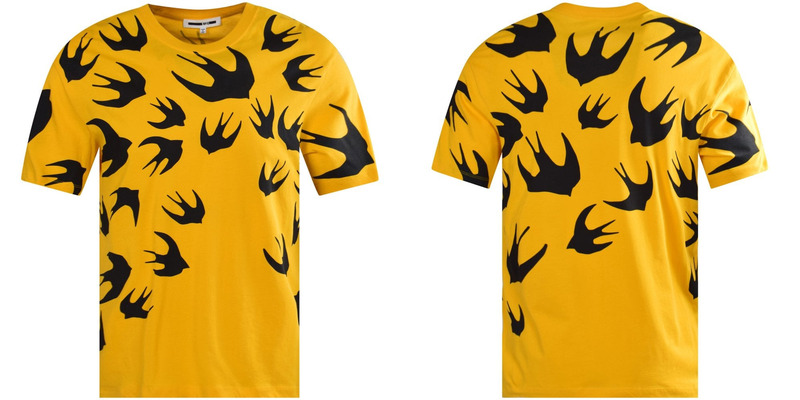 This regular fit, 100% cotton t-shirt is designed in a bright mustard yellow with the swallows constrasting in black. This signature print screams McQueen and will surely make you the talk of any social occasion you attend! If you’re looking for the perfect statement t-shirt to liven up a casual look, we’ve found something dangerously good from Valentino. 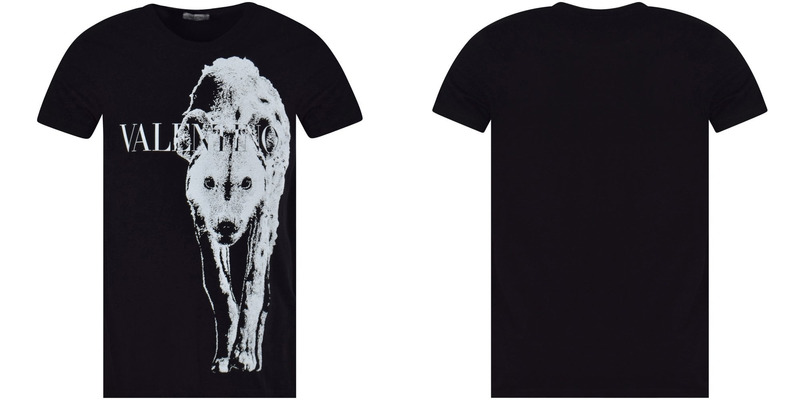 This regular fit, 100% cotton t-shirt is constructed in all black with the design featuring a menacing looking hyena and the Valentino branding. For those that like a walk on the wild side, and maybe freaking people out a little bit, this t-shirt is the perfect wardrobe edition for spring 2019. Pair with jeans and trainers for an elevated casual look, and take it into the evening by adding a smart blazer. Despite his death in 2016, Muhammad Ali’s legacy as a sports legend and pop culture icon lives on, and is unlikely to go away anytime soon. 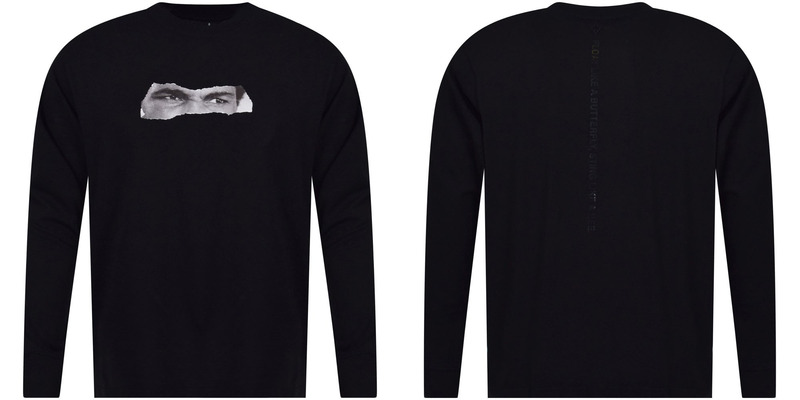 This t-shirt from Marcelo Burlon celebrates the boxing titan with the design featuring what looks like a ripped photograph only showing Ali’s eyes. Perhaps this is a comment on how much longevity this megastar has – even his eyes are instantly recognisable. The design is completed with Ali’s famous quote – ‘float like a butterly, sting like a bee’ – printed down the spine of the back of the t-shirt. The long sleeve construction makes this t-shirt perfect for cooler spring days, and for any Muhammad Ali fan, this shirt is a must! Stop the press! Versace’s brand new Newspaper collection for summer 2019 has dropped, and we have the entire mens collection right here on Brother2Brother! Best news you’ve heard all year, right? This brand new collection from Versace is eye-catching, innovative, cool and so utterly Versace. 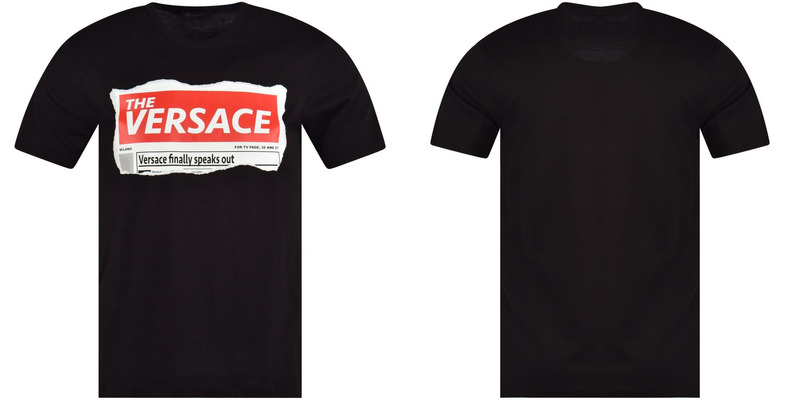 This slim-fit t-shirt features one of the collections more simple designs, constructed from 100% black cotton with a red-top newspaper ‘cutting’ across the chest with the provocative headline ‘Verace finally speaks out’! This collection has dropped to rave reviews, so to make summer 2019 a fashion fiesta not to be forgotten, get it before it’s gone!